Evergreen tree. Best if protected from frost. Leaves are variegated green and white, making the tree quite ornamental. Rind is striped green and cream. 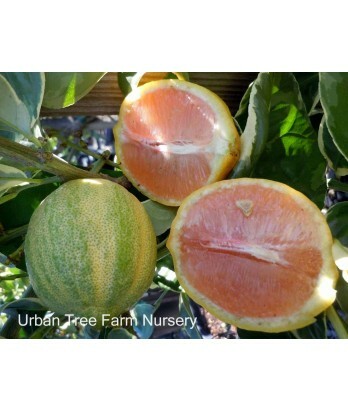 Flesh is light pink at full maturity with few seeds. All citrus are heavy feeders. Regular water needs in well-drained soil once established.